We provide gate systems for domestic and commercial use in Galway, Mayo, Clare & Limerick, we can incorporate smart lights, security lighting and also an intruder alarm. At RosTek, we believe that your security is paramount. As such, our products are designed keep you and your property secure. Our services include CCTV systems, security gates, and intruder alarms and provide the added peace of mind and security that our clients deserve. Sale Price! 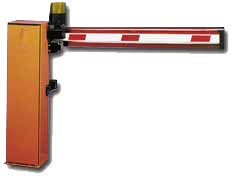 Gate automation for €1800 (inc. VAT), includes intercom, keypad, motors and fobs. RosTek fire and security uses only the best quality, professional line of automatic gate and control systems from the respected brand names including FAAC, Bticino, Comelit and Bennica and ACT. 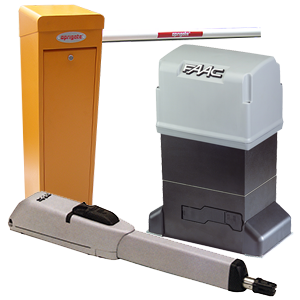 These professional grade automatic gate controls and control systems are among the most robust and reliable for single gates, dual swing gates and slide gates. Regardless of your needs, RelTek can supply a premium security system and gates which can be automated that are both aesthetically pleasing and provide a much needed security boost. If you have any questions or comments please RosTek on 091485100 or 087 294 5992 about our commercial & domestic automated gates in Galway, West Coast or any other part of Ireland. If you would like to have further information form our automatic gates Galway service, then please use our contact form and contact us.